Aston Martin's first electric model, the Rapide E, made its world debut Tuesday at Auto Shanghai 2019, where the company's Creative Chief Officer also announced that the model is ready for production. Last month, The Sun reported that James Bond could be driving an eco-friendly Aston Martin in the next 007 movie instead of a V12-powered supercar. 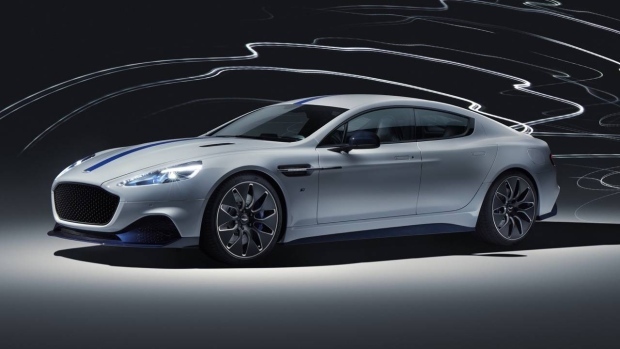 And now we know what that all-electric model might look like, as the Rapide E, has made its world debut in China at Auto Shanghai 2019. The model -- the company's very first production BEV -- was unveiled by Aston Martin's Chief Creative Officer Marek Reichma. According to the brand, the Rapide E "represents a pioneering first step towards achieving the company's wider electrification strategy and the successful fruition of Lagonda" -- an Aston Martin brand that has recently been relaunched to manufacture and sell exclusively electric and fantastically-luxurious cars. The Rapide E has been designed to be highly aerodynamic which, as a result, increases the model's total driving range. A 10-inch digital display replaces the traditional analog display, offering drivers vehicle information including battery charge level, motor power level, regenerative performance, and real-time energy consumption data. Furthermore, additional information like time to charge and remaining range can be viewed via a dedicated app. 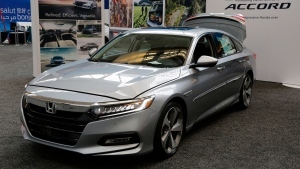 The original 6.0-liter V12 engine has been swapped for an 800V battery with a 65kWh capacity that produces 950Nm of torque and has a range of over 200 miles. Top speed of the Rapide E clocks in at 155 mph, and the time it takes to bring the car up to 60mph from zero is less than four seconds. Reports suggest that this model could be the focus of a high-speed car chase in the next 007, though it would be decorated in a plethora of extra James Bond spy bells and whistles. The Aston Martin Rapide E is currently available for order, though the final price has not been officially named. Pop Life: What sets apart musical genius from other talent?